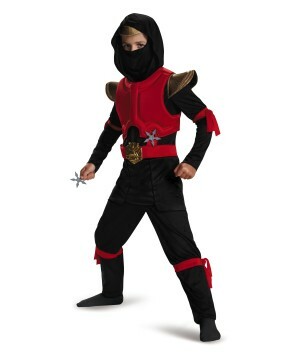 Includes jumpsuit with attached tunic wrap, shoulder armor pieces, hood with antenna and plastic visor. 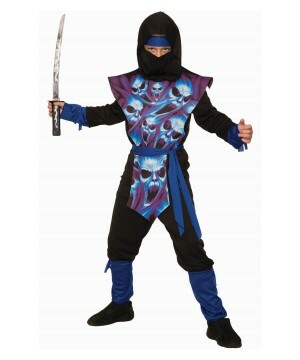 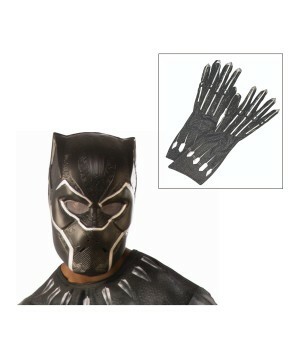 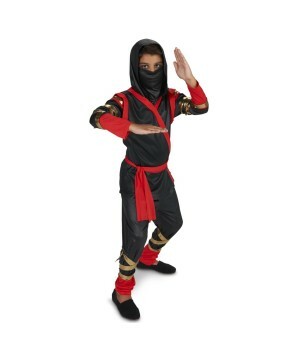 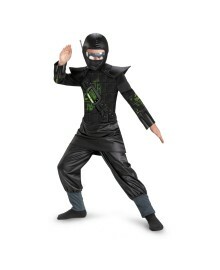 Core Black Ninja Kids Costume includes black jumpsuit with attached tunic wrap, pair of 3-D shoulder armor pieces, hood with attached antenna and plastic visor. 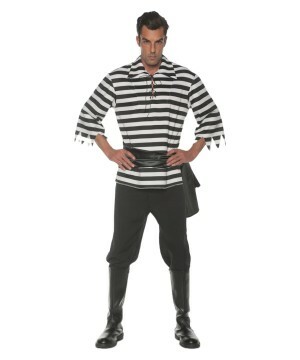 This is an officially licensed CORE (TM) costume. 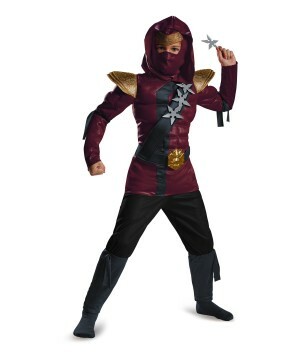 This modern Superhero Costume for boys is available in sizes Kids Small (4-6), Medium (7-8) and Large (10-12). The world awaits to see you in action!Please note socks are not included. 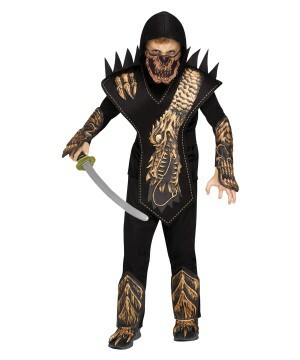 Includes one hoodie. 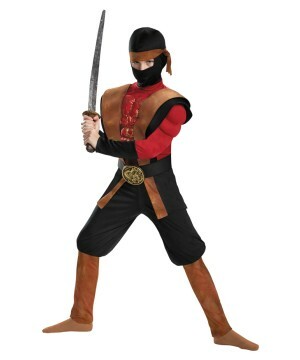 Excludes pants, or shoes. 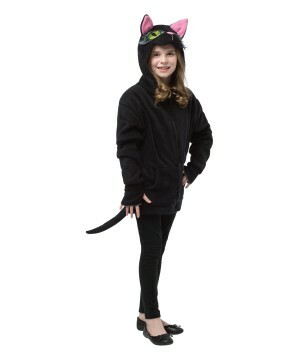 Get ready to prowl the streets with this costume.